S.P. Mackenzie. Politics and Military Morale: Current Affairs Education in the British Army 1914-1950. Oxford: Clarendon Press, 1992. Copp, Terry. 1993. “S.P. Mackenzie. Politics and Military Morale: Current Affairs Education in the British Army 1914-1950. Oxford: Clarendon Press, 1992.”. 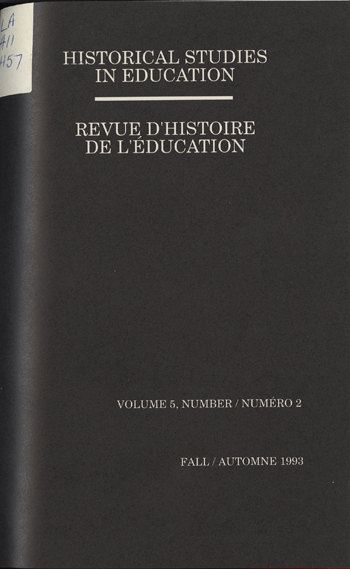 Historical Studies in Education / Revue D’histoire De L’éducation 5 (2), 309-11. https://historicalstudiesineducation.ca/index.php/edu_hse-rhe/article/view/1307.